5, 4, 3, 2, WONDERFUL! Items from 2017 annual catalog are available in limited quantities at the promotional price. Click Here to View Sale Items! Once you get to my website you can click on the Discounted or Retiring Favorite tabs to begin viewing. Please remember that items are “WHILE SUPPLIES LAST” … Contact me with any questions you may have or to help you place your order. I hope your day is a good one, it is Friday!! 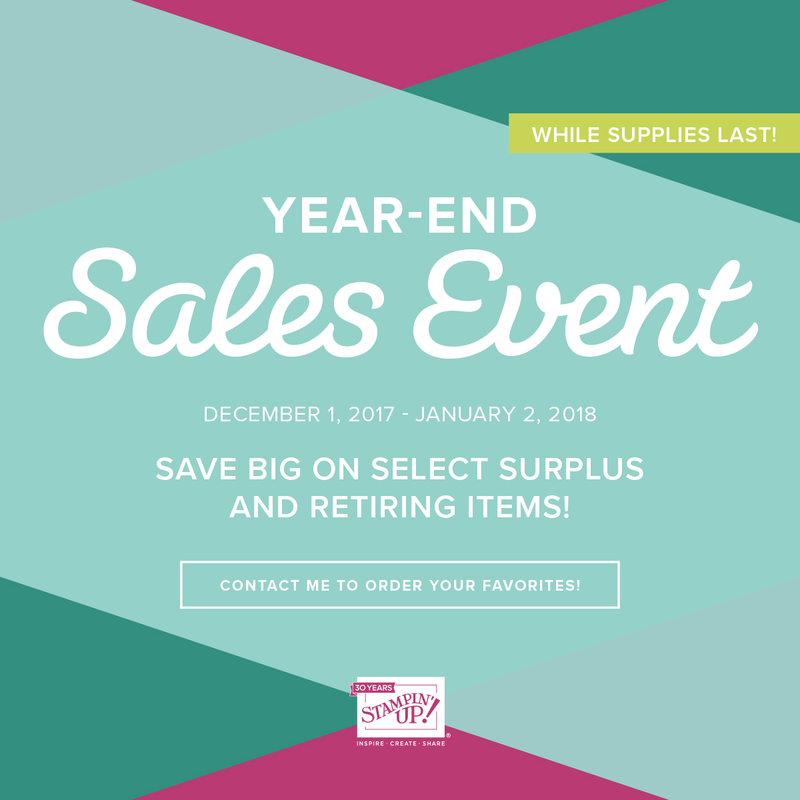 YEAR END DISCOUNTED ITEMS ….